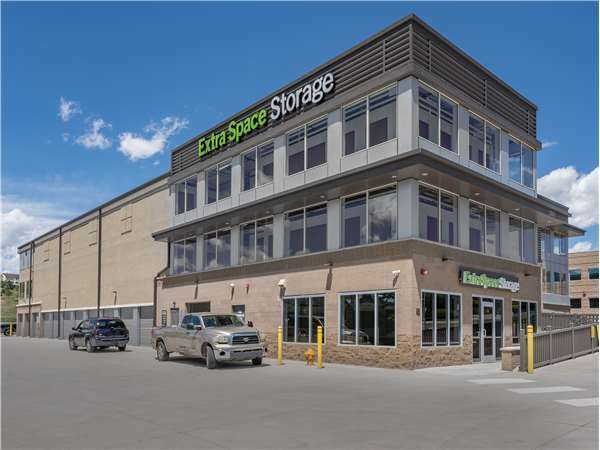 Located on S Lewis Way just off W Morrison Rd and S Kipling Pkwy, Extra Space Storage serves Lakewood residents near Kemo Country, Primrose West, Bear Creek, Fox Haven, and more. Locals will recognize our facility near Domino's and Anytime Fitness. Nice, newer facility with plenty of units to choose from. Younger man at front desk was courteous and efficient. Only failing is the lack of a secure gate, despite the home screen for this site saying there is a gate, gate code only gets you in the side doors. If you had a real gate like other locations, you'd get a 5 star rating. Clean, secure storage facility, with people I like dealing with. After a bad experience recently, it's nice to find a company that takes pride in their facilities, their representatives, and their customer service. So Far, I'm thoroughly impressed! The manager has been over-the-top helpful and friendly. On the second day I was moving in, all the carts were all in use. She had seen me drive in and before I even got to the space, she had brought a cart for me to use. I didn't have to ask; she just knew what to do to make the job easier for me. Now that's great customer service. I highly recommend Extra Space in Lakewood. 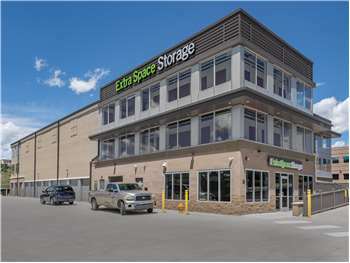 We are very happy that we chose Extra Space Storage for our storage needs. It's clean, safe, and well priced for the space. The staff is super attentive and helpful. We can't recommend them enough!! Drive south on S Kipling Pkwy. Turn left onto W Jewell Ave. Turn right onto S Kipling St. Pass Carmody Middle School and continue straight on S Kipling St. Turn right onto W Wesley Ave and then immediately left onto W Wesley Dr. Turn left onto S Lewis Way and left again to stay on S Lewis Way. Our facility is on your right. Drive north on S Kipling St. Pass Hwy 285 and continue straight on S Kipling St. Turn right onto W Morrison Rd. Turn left onto S Lewis Way. Our facility is on your left, after Domino’s Pizza. Drive west on W Yale Ave. Pass Westgate Elementary School and turn right onto S Estes St. Turn left onto W Morrison Rd. Turn right onto S Lewis Way. Our facility is on your left, after Domino’s Pizza. Drive northeast on W Morrison Rd. Pass Fox Hollow Golf Course and continue straight on W Morrison Rd. Turn left onto S Lewis Way. Our facility is on your left, after Domino’s Pizza.